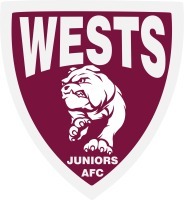 As the club’s major sponsor, Queensland Combined Orthopaedic Specialists (QCOS) has established a strong partnership of support for Wests Juniors Australian Football Club. Now in its fifth year of sponsorship, president Rohan Teasdale knows the group’s support for the club has been invaluable. “We’re a small, local club that relies on the support of families and players to keep going. Having a major sponsor like QCOS is great. It ensures we can support the players to train and play at their best,” Rohan said. QCOS is a dynamic surgical practice comprising a group of surgeons with subspecialty interests covering the entire range of surgical and non surgical orthopaedic conditions.